Land confiscated from Palestinians for the purpose of security buffer zones around illegal Israeli settlements in the West Bank is actually being utilized as "land reserves or for agriculture," according to an investigation by Israeli newspaper Haaretz. The buffer zones were originally created during the Second Intifada reportedly as a way to curb attacks against illegal Israeli settlements in the West Bank. 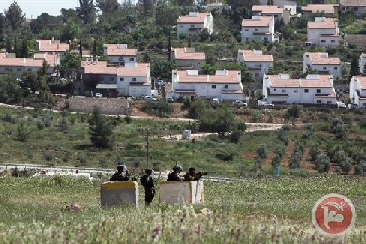 According to Israeli human rights group B'tselem, settlements control 42 percent of the land area in West Bank. According to Ma'an, the report reveals that buffer zones in the Jewish-only settlements of Ateret, Pnei Hever, Nahliel and Kiryat Arba are currently being cultivated for agricultural purposes by settlement farmers. Dror Etkes, a researcher on settlement policies in the territories, told Haaretz that the practice of re-purposing buffer zones to the advantage of settlements has become a "a de facto means of expanding the area under the control of the settlers." "This is another manifestation of the attitude of the state [of Israel] that treats Palestinian property as if it was ownerless," Etkes said. In addition to the official government sanctioned buffer zones, Haaretz also found that some settlements have created similar unofficial zones secured with the help of the Israeli forces well as settlement security heads. Haaretz's investigation claims that while Israel's Civil Administration is aware of both practices, the administration is "turning a blind eye," on the issue. 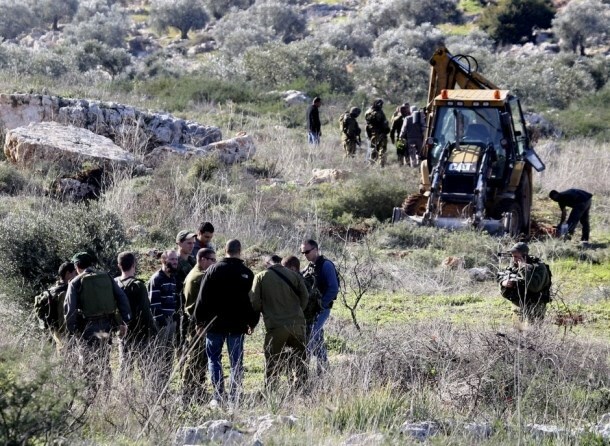 Jewish settlers from the expanding settlement of Leshem are still embarking on carrying out construction activities on Palestinian agricultural lands belonging to three Palestinian towns west of Salfit, according to local sources. 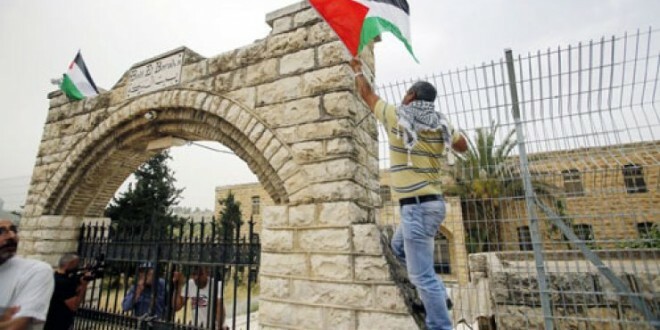 Palestinian citizens said that the annexed lands are part of the towns of Kafr Addik, Deir Ballut and Rafat. 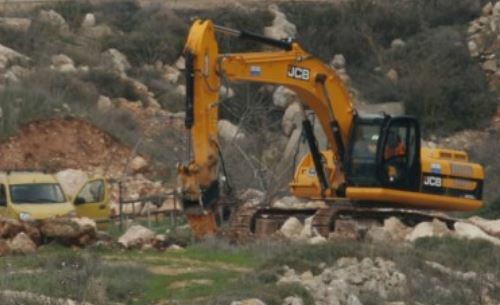 For his part, specialist in settlement affairs Khaled Maali said that heavy construction machinery has been used by the settlers to level the lands and break the rocks near the archeological village of Deir Samaan. He said that the new Israeli settlement Leshem had been built on Palestinian-owned lands mostly belonging to Kafr Addik town. 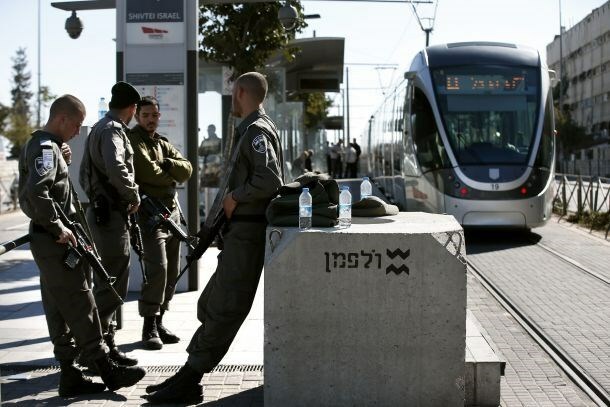 The Hebrew weekly newspaper Kol Ha'ir said on Saturday that the so-called Israeli Local Committee for Planning and Construction in Occupied Jerusalem approved last week the "Green Railway" blueprint of the light train which will connect the settlements with Jerusalem. The newspaper clarified that the 19.6 Km-long railway will connect Gilo settlement with Al-Masharef Mountain (Mount Scopus) and it will be carrying about 145,000 passengers every day. It is expected that the new railway will cross the "Red Railway" of the light train which is 13.8 km long and starts from Mount Herzl and ends in Pisgat Ze'ev settlement, according to the newspaper. Bayit Yehudi Chairman Naftali Bennett expressed deep concern at a party meeting Wednesday evening over the recent wave of terror attacks against Israelis, sending a message to Prime Minister Benjamin Netanyahu that he must cancel eased restrictions on Palestinians for the month of Ramadan and give government approval "for construction in Judea and Samaria and strengthening of the settlements. "Bayit Yehudi will not ignore the murder of Jews," continued the strongly-worded letter to the prime minister. 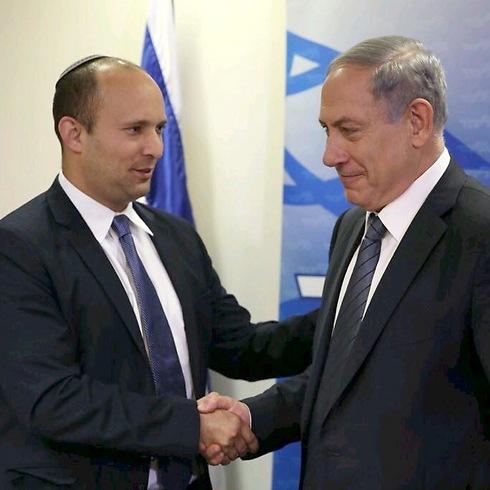 Netanyahu's office has yet to the reply to Bennett's comments that included a demand "to cancel the exemptions granted to the Palestinian for Ramadan as they have become life threatening, along with a series of security measures and deterrence." The prime minister was faced with public opposition as well on Wednesday, when dozens of Israeli residents of the West Bank protested in front of the Netanyahu's offices in Jerusalem, calling on the authorities to take greater action to stop attacks by Palestinians. Partakers called on the government to continue settlement construction in the West Bank and to withhold funds passed to the Palestinian Authority. Five attacks have taken place over the past two weeks, taking the lives of two Israeli civilians. The last victim was Malachi Rosenfeld, who was shot in a terror attack on Monday and passed away the following day. Just 12 hours earlier, A Palestinian woman stabbed a female soldier during a security check at the Rachel Crossing, which leads to Rachel's Tomb in Bethlehem. The soldier, who serves in military police, was seriously wounded. Fence along Egyptian border to be expanded as gov't fears illegal immigrants and armed militants may take advantage of porous border. Israel's security cabinet has approved extending the fortified fence along its Egyptian border into a section of the frontier with neighboring Jordan, Prime Minister Benjamin Netanyahu said on Monday. Jordan and Israel closely coordinate security for their 240 km (150 mile)-long border as well as for the strategic 95 km (60 mile)-long Jordan Valley within the West Bank. 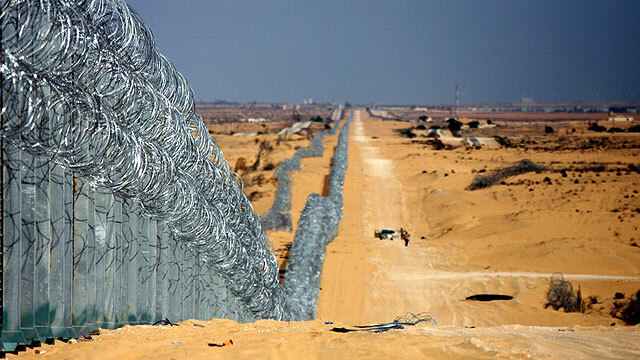 But the Netanyahu government worries that African immigrants and armed jihadi infiltrators might try to reach Israel via Jordan after the Egyptian Sinai border was fenced off with a 5 meter (16 foot)-high razor-wire barrier in 2013. That fence runs from the Palestinian Gaza Strip to the southern Red Sea resort of Eilat. Briefing Israeli lawmakers, Netanyahu said his security cabinet on Sunday gave the green light for a new 30 km (18 mile) stretch of fence that will run northward from Eilat along a now often porous Jordanian border. He said the fence would help protect an Israeli airport due to open next year at Timna, 19 km (12 miles) from Eilat, and which has been billed as a wartime alternative should Tel Aviv's Ben-Gurion airport come under rocket attack. "This is an important matter. 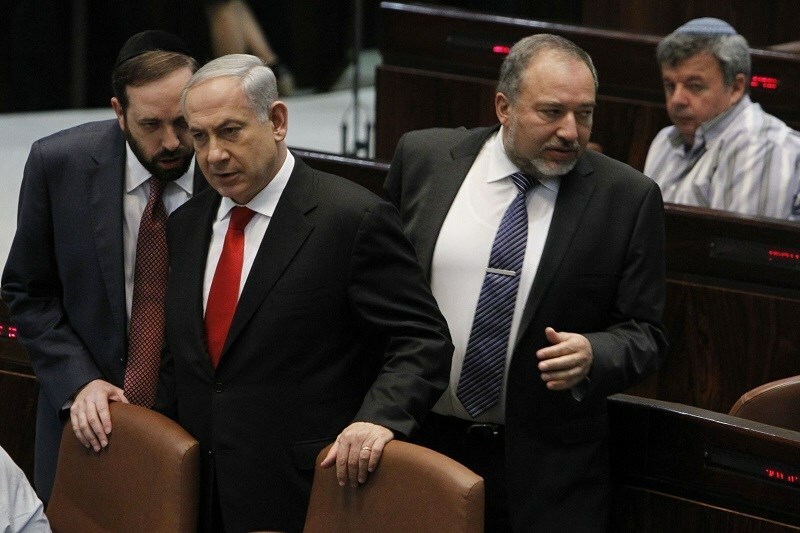 It is part of our national security," Netanyahu said. "It is an addition security fence we built along our border in the Sinai, which prevented the entry of illegal infiltrators into Israel, and of course of the various terror organizations. This step is also an addition to the fence we built on our border in the Golan Heights. The fence, he said would go up in Israeli territory, "without in any way harming the sovereignty or national interests of the Hashemite kingdom of Jordan". Israel signed a peace treaty with Jordan in 1994 and one with Egypt in 1979. The country has already built high-tech fences in the north on the Lebanon border and along the Golan Heights boundary with Syria. Much of the West Bank is also divided by a network of fences, barriers and walls, while the Gaza Strip is closed off behind high fences and walls. Israel’s war minister Moshe Ya’alon has approved continued renovation of a church compound in the southern West Bank that was purchased by representatives of U.S. billionaire Irving Moskowitz and earmarked for settlers. On May 22, Haaretz reported that Moskowitz's representatives had purchased the compound, opposite al-Arroub refugee camp, from an overseas fake Swedish entity masquerading as a church headed by a woman from Norway. After the piece of news had been propagated, it was decided to stop the work and scrutinize the legality of the purchase. A meeting held in Ya’alon’s office shortly afterwards culminated in a decision that there was no legal impediment to continuing the renovation. Meanwhile, the Israeli occupation forces quelled a series of rallies and sit-ins staged in protest at the misappropriation of the eight-story building, covering an overall area of some 40 dunums. Israeli occupation defense minister, Moshe Ya’alon today approved the renovation of a building which is part of Beit Al-Baraka church near Al-Arroub refugee camp south Bethlehem, central West Bank. Israeli newspaper Haaretz about a month ago exposed seizure of the church by a Jewish billionaire, through a fake Norwegian real estate company headed by a Norwegian woman who claimed she was member of an American church. Days after the publication, the reconstruction of the building has stopped to find the legal status of the renovation. Later, Haaretz said that IOF decided there was no law preventnig the renovation of the building and today Ya’alon has approved it. At the start of his Middle East tour in Cairo, Laurant Fabius offered a statement regarding the Israeli-Palestinian conflict. Fabious criticized Israel's settlement policy, saying the settlements policy is illegal under international law, and a major obstacle to peace. He continued to say that Israel's security must be a consideration; however Palestinian rights must be recognized. Fabious will arrive in Israel on Sunday, and is expected to push a new French imitative to restart peace talks in the region in meetings with Netanyahu and Abbas. 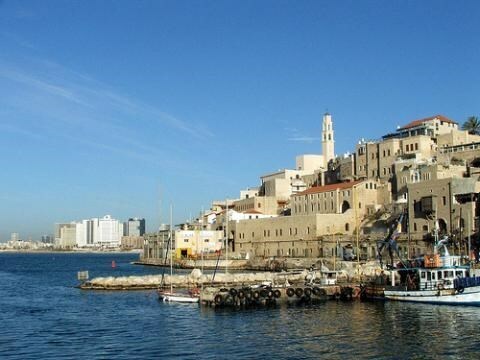 The so-called Israel Lands Administration (ILA) and Israeli Planning and Building Committee in Tel Aviv endorsed a huge Judaization and settlement scheme which will be established on the ruins of the Palestinian homes and lands in Nozha neighborhood in Jaffa. The first phase of the scheme includes building 1500 settlement units on 200 acres over a period of 3 years and will be allocated to the rich Jews. 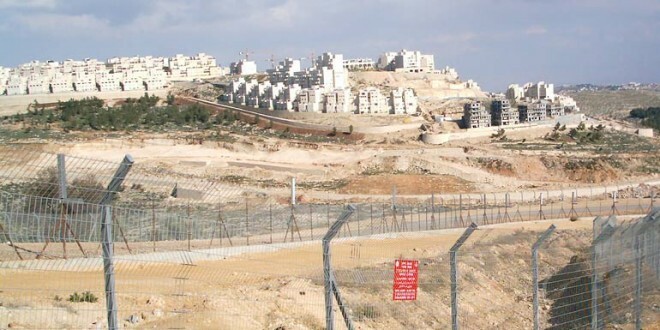 The Norwegian insurance giant, KLP Kapitalforvaltning has divested from two international building material companies from its investment portfolio because of their operations in the West Bank settlements. According to Haaretz, KLP divested of its shares in these companies effectively on June 1, citing international law as set in the Hague and Geneva conventions. The Norwegian firm insures all municipal workers in the Scandinavian nation and holds 35 billion dollars worth of assets. Palestinian Foreign Minister Riyad al-Maliki, stated that the files of Israel’s illegal settlement activities in the occupied West Bank and Jerusalem, and the repeated Israeli aggression on the besieged coastal Gaza Strip, will be submitted to the International Criminal Court (ICC) on June 25. Al-Maliki said that all preparations for submitting the two important have been conducted by Palestinian and international experts. 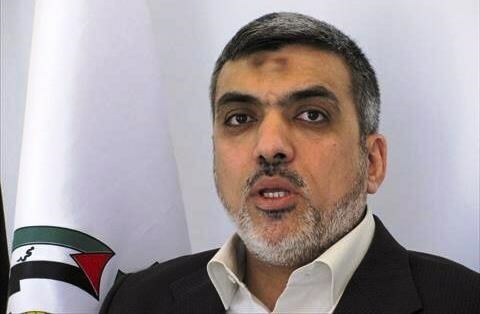 He stated that the Israeli leadership is not interested in any real progress in political talks, in addition to its ongoing construction and expansion of its illegal colonies. 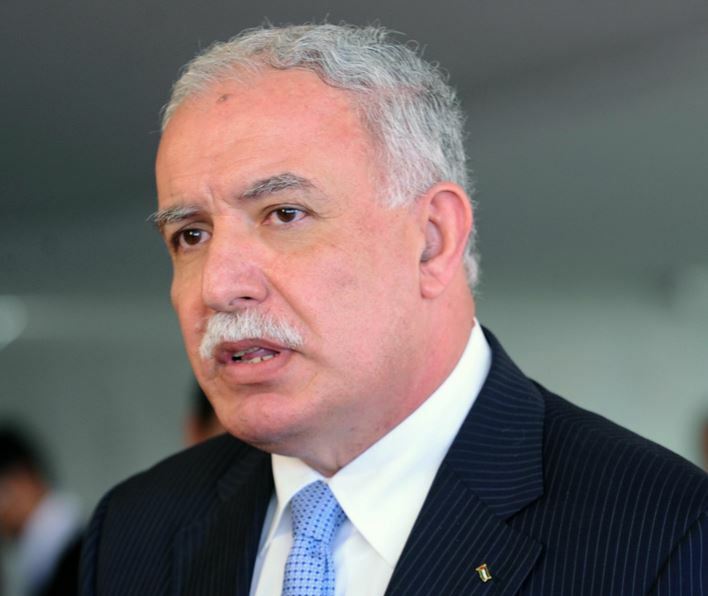 He added that the Palestinian leadership is not seeking “media talks," false statements and lies that aim at creating fake developments in the political situation." In addition, Al-Maliki rejected the idea of a small-scale “international peace conference,” adding that Israel is facing more international isolation, and that such a conference would only help it overcome this isolation without any real progress in the political situation. China has demanded that the Israeli government should sign a bilateral labour cooperation agreement so that Chinese construction workers sent to Israel are not employed in settlements in the occupied West Bank, Haaretz newspaper revealed on Sunday. The newspaper pointed out that the Chinese government has agreed to send thousands of construction workers to Israel, but demanded that they are employed only within Israel. Each worker is to be paid $6,000. While the Israeli government has agreed to pay the wages demanded, said Haaretz, it is refusing to accept the condition that workers should not be employed on settlement expansion contracts. It is not known if the deal will go ahead with the Chinese compromising on the issue. 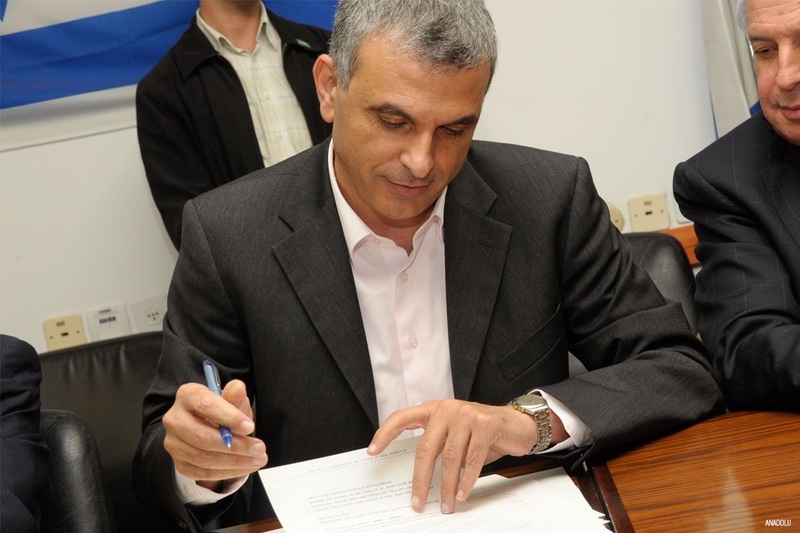 Israeli Finance Minister Moshe Kahlon said that the plan to bring thousands of Chinese workers into the country is intended to speed up construction work to solve the housing problem and bring down prices.